Amandine is a 20m sailing yacht built by Jeanneau in 2015 and is the flagship of their range of yachts featuring clean lines with classic proportions and elegance. The yacht is based in the Mediterranean in the summer and in the Caribbean during winter. 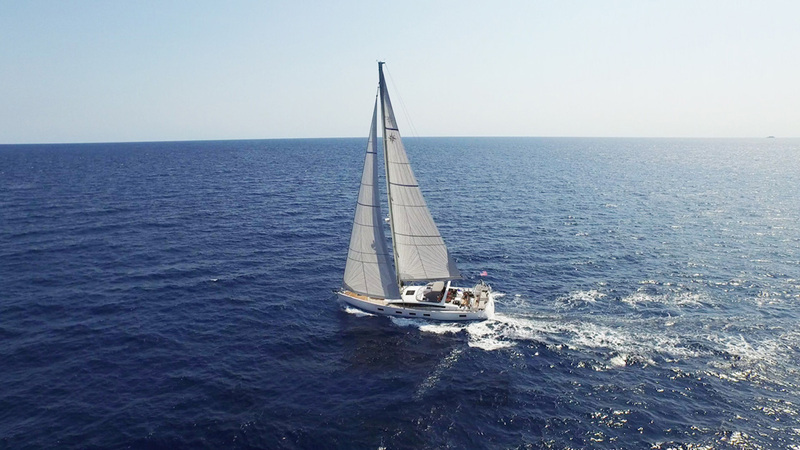 Amandine has been maintained with utmost care and love and can accommodate 6 guests in 3 well-appointed cabins with 2 crew members to tend to the needs of charter guests.